As an online publisher, or a blogger, you need to know which content is bringing a lot of traffic so as to reproduce a potentially successful topic. 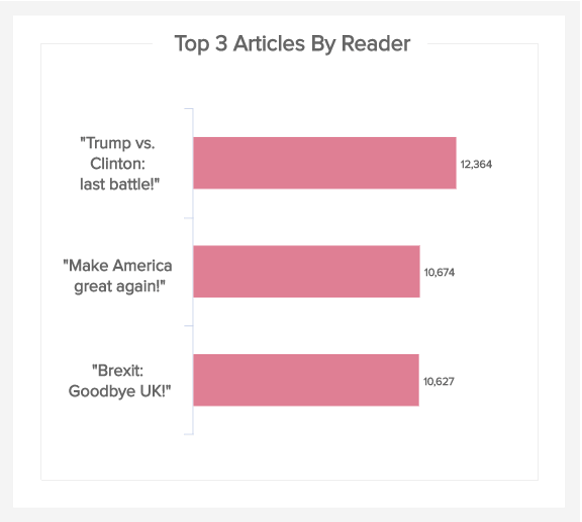 This is why you need to track your top articles and rank them by number of readers. Of course, the raw traffic figure doesn’t speak for itself, and you should analyse it along other metrics – like the time on page, bounce rate, conversion rates – so as to make sure that it is not “accidental” or that the title was not misleading. A high traffic with an equally high bounce rate might tell you that the tagline was catchy but that in the end, visitors didn’t find what they wanted there. Use these pages to your advantage by understanding the success factors behind it: is it the topic, the format, the writing style? And reproduce these best practices for future articles. You may or may not have a niche market newspaper, you still have specific categories in which your articles are classified. Evaluating the number of readers each category receives on a daily, monthly or annual basis will give you an idea of where people find quality content on your website, or what people look for when going on your website. It is interesting to read this metric in parallel with the percentage of articles actually published per category. 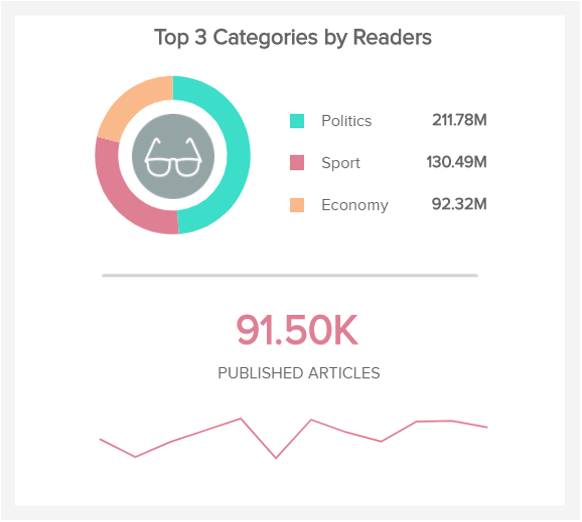 If you realise that the category with the most users has the fewest number of articles, you may think about changing your strategy, or find the reasons behind such a success with less material. If you find a type of articles that has few publications but a lot of readers, you might want to reproduce this content so as to attract more visitors. Just like any online business, you want to know who visits your website. 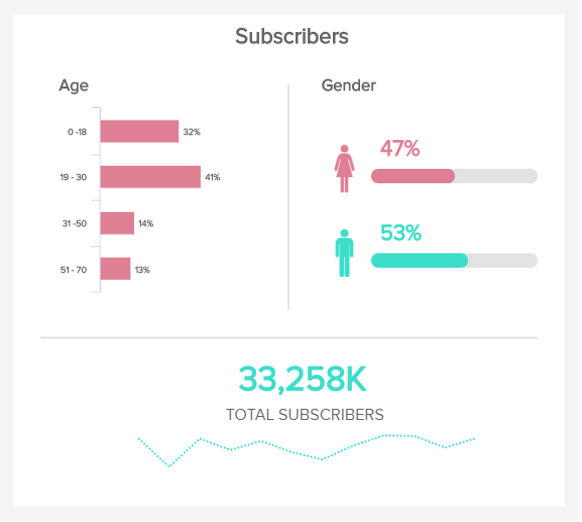 Subscribers are the very readers you want to pamper, as they pay to get premium access to your material: having an insight on who they are and their demographics – age, gender, location, but also their interests – will give you a lot of material to adapt and customise your content for them. You cannot address a 50+ year-old readership the same way you would engage millennials. The referential is different, and so is the relationship to technology. The topics you want to talk about – even if you already have an editorial line, as an already existing print publisher – will not be the same nor will be the writing style, tone, and interactivity level. Determine the profile of your readers so as to understand who they are and personalise the content the best way possible: where they are from, what time of the day they are active and can engage with your content, etc. 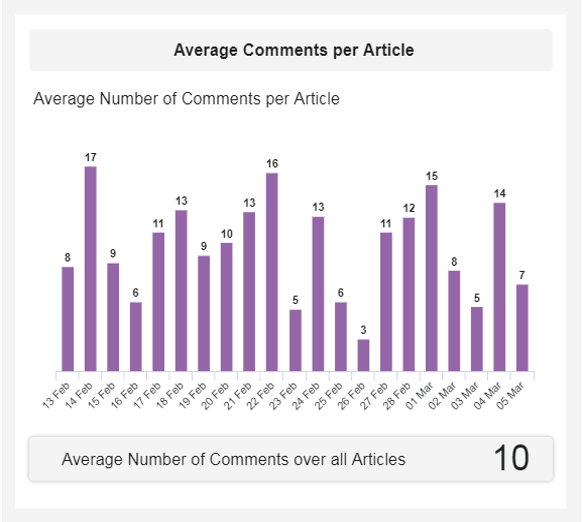 After the publication of an article, you want to monitor a couple of metrics to learn more on how readers react and interact with your content, especially on social platforms. 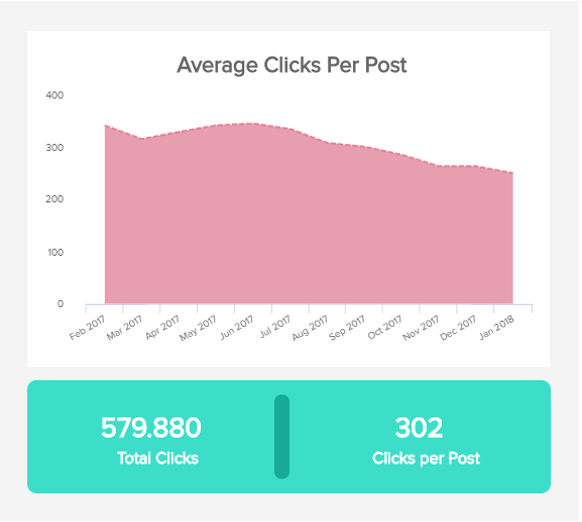 Just like the first digital media KPI of this page counting the top articles per readers, the average clicks per post is a metric you want to analyse along other indicators: the bounce rate, time on page, scrolling behaviour, etc. A decreasing trend doesn’t mean that you are doing worse, as it may indicate a better targeted headline, especially if people stay on the page and actually read after clicking. Catchy taglines can sometimes tend to be “clickbait”, which is highly disregarded by readership who may take your business less seriously afterwards. Evaluate the click efficiency hand in hand with the bounce rate and time on page, so as to have a better understanding of your performance. The average shares per post is one of the digital media KPIs that tells a lot about the reception of your content by your audience. This is an important aspect of your online presence, because it says if your fans or followers are interested in what you say, and it increases your name’s recognition. Indeed, not only do they reflect how popular a post is, but they do increase the total reach. The more shares you get, the more likely your content is to be read; not just because someone else than you shares it to his/her own audience, but because algorithms place it on top of the newsfeeds of that person’s followers. Social shares are part of the general engagement rate, ie. the interactions users have on your page. The more shares you get, the better it is for your content – unless it is highly polemical and tarnishes your reputation. How many followers did you gain in total? 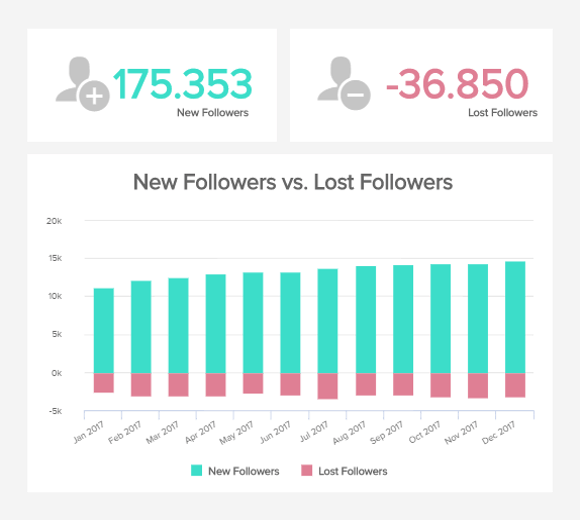 Your followers’ growth measures the number of followers you have gained compared to the ones you lost over a certain time period. We may think that the more followers, the better, but that highly depends on your company size, industry, and on the platform you are counting these followers. As a publishing business, you want your content to reach as many people as possible, but if you are specialised in engineering heart nanotechnologies content, that may definitely lessen your scope. In any case, you need to analyse the changes in growth to spot any spike – good or bad – and understand the reasons behind it to reproduce the good work, or avoid redoing the bad one. Make sure you know how different platform work and which audience you can reach there, then set your goals and objectives respectively. For SEO writers, this is a score that is not unknown. Indeed, many content analysis tools feature a plugin that goes through your text and evaluates how difficult it is to read, according to certain criteria and coefficients. It is a readability test developed in the U.S following this formula: 206.835 – 1.015 (total words/total sentences) – 84.6 (total syllables/total words). The higher the score is, the easier the text. On Wikipedia, article about sportspeople are the easiest to read with a Flesch score of 58.68 on average, while the philosophers’ pages have the lowest score with 44,62. 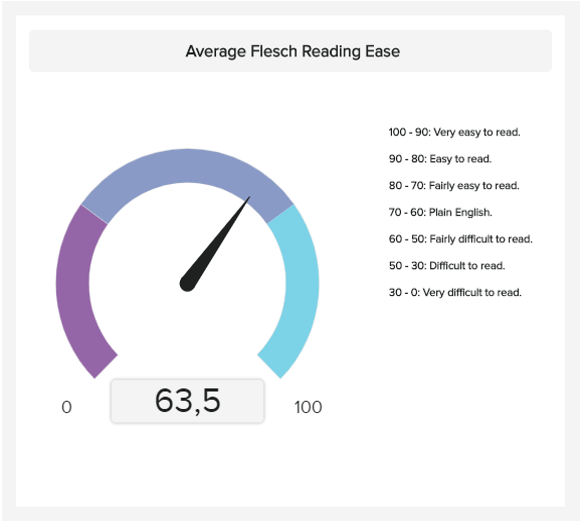 Benchmark your articles to measure the average Flesch Reading Ease score and see where your magazine is situated. You can perform A/B tests with articles dealing with the same topic, and see if a lower or higher Flesch score impacts your audience engagement with your content. 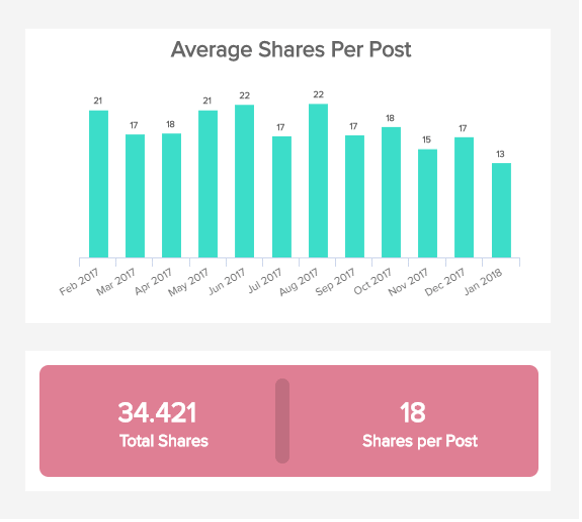 The number of comments you receive on your posts belongs to the same category as the shares: engagement level. However, comments are often considered as the likes – a vanity metric. If one only relies on such metric to evaluate performance, there are high chances that indeed, one may be fooled. But comments have a real engagement and quality aspect: they show how good your content is by having people actively writing and posting their opinion. It is not as 'passive' as a click on a like button for instance, because the reader takes the time to think about the article and write something. Encouraging your audience to share their thoughts and participate in the conversation also makes them more likely to come back and read the reactions. Involving yourself in the comments section makes you more “human” and brings your closer to your audience, which is widely appreciated. How long does it take an article to get published? The story turnaround time is nothing specific to digital media KPIs, and exists since printing press is out and running. In the publishing business, the timeline for an article to be out varies greatly – depending on the author, the type of news, the project, the nature of the newspaper or magazine (daily, monthly, quarterly?). It represents the time a topic is approved in creative or budget meeting, to the moment it is published, going through several phases: conception, editing, revisions, publication and finally archiving. 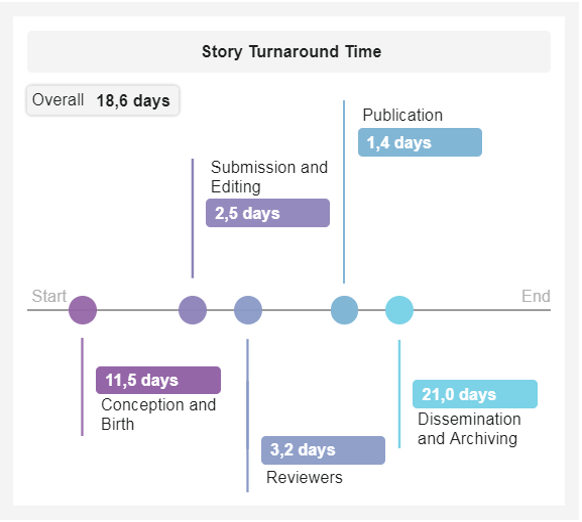 This turnaround time doesn’t have a particular timetable to follow but you should have an idea of the average time each stage requires for your type of publications. Measure each stage of the publishing funnel and set specific time-targets.